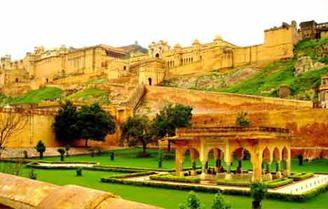 Places to Visit: Delhi - Delhi Agra Jaipur and Back to Delhi. Kumar India Tours offering Delhi Agra Jaipur Tour Packages By Car and Driver. 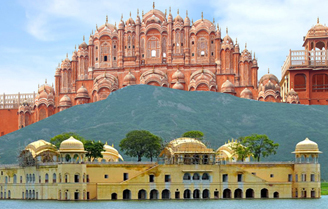 Duration :- Delhi To Agra Jaipur 2 Nights 3 Days Tour Packages - Call @ 9312215180/9811431783. 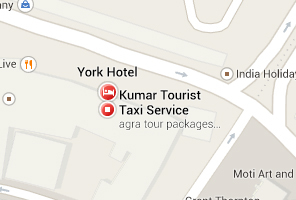 Arrival at Delhi Airport/Railway Station/ISBT meet our representative and transfer to Agra by Road Approx. 200KM (3 HRS Journey) reach Agra and checkin at Hotel,freshen up yourself then visit "Taj Mahal" the symbol of love & agra fort, night stay at hotel. 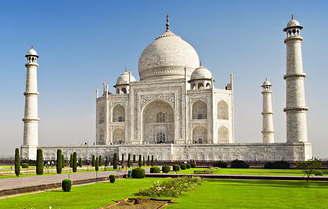 Agra and checkin at Hotel,freshen up yourself then visit "Taj Mahal" the symbol of love & agra fort, night stay at hotel. After break fast transfer for full day sightseeing on Pink City visit Hawa Mahal, City Palace, Jantar Mantar, Jal Mahal, Amber Fort Night Stay at hotel. After break fast check out from hotel transfer to Jaipur Airport/Railway Station. Tour end with sweet memories of Jaipur pink city. Call @ 9312215180/9811431783 Car Rental Delhi Agra Jaipur Tour Packages, Delhi Agra Jaipur Tour by Car and Driver, 2 Nights 3 Days Delhi Agra Jaipur Tour Packages, Delhi Agra Jaipur City Tour Car Rental, Golden Triangle Taj Mahal Tour, Delhi Agra Jaipur Weekend Tour, Golden Triangle Holidays Tour, Delhi Jaipur Tour By Car, Overnight Delhi Agra Jaipur Tour Car Hire, Same Day Taj Mahal Tour From Delhi, Car Rental From Delhi To Agra Taj Mahal, Fatehpur Sikri Tour Package, Jaipur Sightseeing/City Tour By Car Taxi Hire, Jaipur Amber Fort Tour, Jaipur City Palace Tour, Jaipur Jantar Mantar Tour, Jaipur Wing Palace Tour, Jaipur Hawa Mahal Tour, Jaipur Water Palace Tour Package, Jaipur Amber Fort, Golden Triangle Delhi Agra Jaipur Tour Packages Hire Car and Driver, Golden Triangle Tour From Delhi By Car, Delhi Agra Jaipur Tour by Deluxe 1x1 Tempo Traveller, Jaipur City Tour by Car and Driver, Jaipur Tour by Maharaja 1x1 Tempo Traveller, Overnight Delhi Jaipur Tour by Car, Cab Hire From Delhi Agra jaipur Tour Packages, Rajasthan Golden Triangle Tour By Car Taxi Hire, Delhi Tourism Golden Triangle Tour, Rajasthan Tourism Golden Triangle Tour, India Golden Triangle Tour, Delhi Tourism Delhi Agra Jaipur Tour, Rajasthan Tourism Delhi Agra Jaipur Tour, Golden Triangle Taj Mahal Tour, Golden Triangle Weekend Tour, Golden Triangle Holidays Tour, Delhi Agra Jaipur Tour 3 Days Tour.